RJC Yacht Sales & Charter close on the 2009 103′ Johnson Motoryacht, HUEY’S ISLAND! 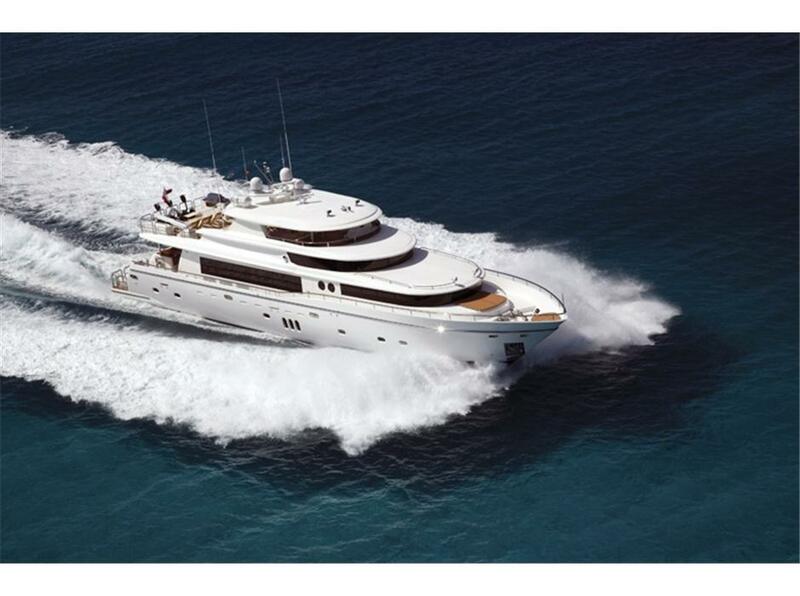 We are very pleased to announce RJC Yacht Sales closing today on the 103′ 2009 Johnson MY, HUEY’S ISLAND! This vessel features an on-deck master stateroom, along with three guests staterooms below, providing accommodations for (8) plus (3) crew cabins aft. Her interior is finished in satin teak and neutral tones throughout. She also features an oversize flybridge with circular jacuzzi, wet bar, BBQ, hardtop & toys! Powered by Caterpillar C32’s, she cruises comfortably at 18 knots with 20 knot plus top end speed while providing good economy. Sold by Bob Cury and listed by Brian Coleman of Huish Marine. Her new name will be JULIA DOROTHY and she will remain based out of South Florida. Her asking price was $5,495,000.